Wordsworth has hardly seen his friends all summer. They have been too caught up in their electronic devices to pay attention to anything around them, and now they are tangled in wires and gadgets! A mysterious old mouse tells him that the secret to saving his friends is in his pocket—what does he have that can help? Emphasizing creative play, imagination and the fun of the outdoors over the allure of video games, computers and cellular phones, this new Wordsworth adventure is a gentle reminder for families that it’s important for young minds to unplug and enjoy real-world friends and activities. Wordsworth, It’s In Your Pocket is the fourth book in the award-winning series of book featuring the poetry-loving mouse. The challenges of Alzheimer’s disease—the physical burdens, financial costs, emotional turmoil and family strife—can reduce our loved one to a “he” or a “she,” a person almost devoid of humanity. As caregivers, our lives revolve around the basics, like doctor’s appointments and dressing, feeding and cleaning up after our loved ones. Their life becomes our life; our life becomes theirs. But who are they now that this disease has taken over? And just as important, who are we? 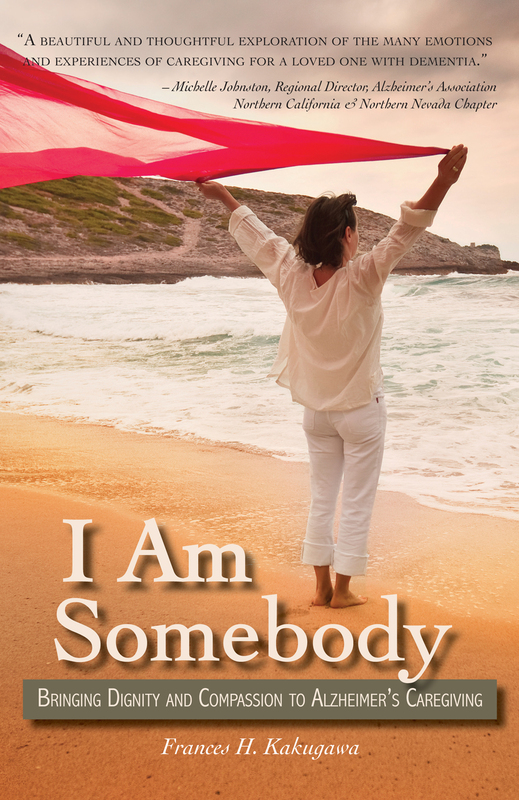 In I Am Somebody: Bringing Dignity and Compassion to Alzheimer’s Caregiving, dignity-in-caregiving advocate Frances H. Kakugawa presents a new vision of caregiving. I Am Somebody is a unique guide for using poetry and journaling to become a more compassionate caregiver—a therapeutic tool offering advice and insights from men and women who have made this difficult journey. Whether or not you choose to pick up a pen yourself, this revealing book is a reminder that both loved one and caregiver deserve compassion, respect and a life with dignity. Each one of us is somebody. 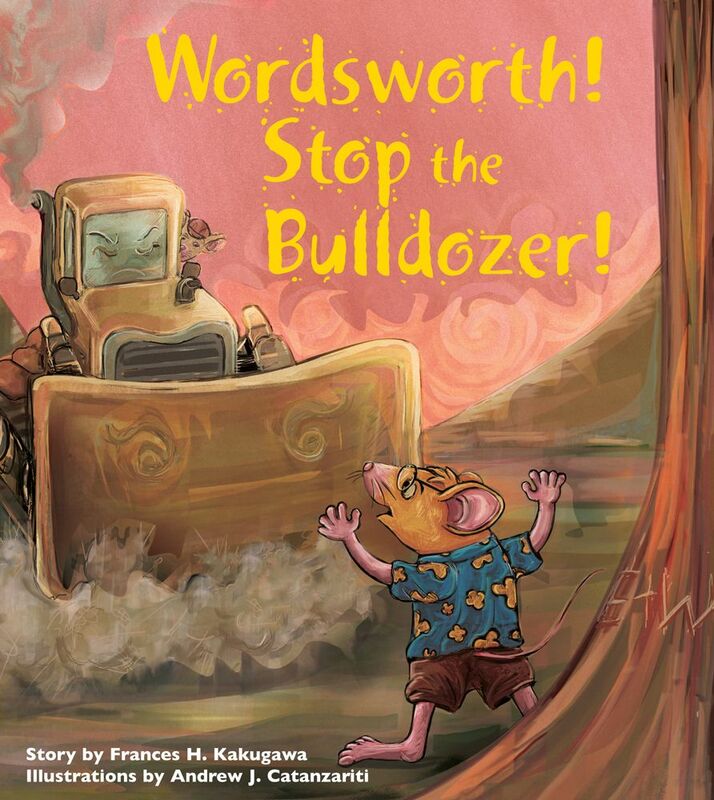 There are so many changes happening in Wordsworth’s life – his best friend Emily has moved away, a new girl from Japan named Akiko is sitting in Emily’s chair at school and, worst of all, a bulldozer has invaded Wordsworth’s special koa grove where he thinks up new poems. What should Wordsworth do? “I would want someone to be nice to Emily,” thinks Wordsworth. So he and his friends, Eliot and Dylan, invite Akiko to teach them about Japanese poetry. And what a good thing, too, because it is Akiko who has a clever idea to save the neighborhood trees from being knocked down. The friends have all written poems about the special qualities of the trees they see around them — mango trees, coconut trees, kukui trees. Akiko pins poems to each tree and reminds all the neighbors of how important a part of their community the trees really are. Please help Wordsworth and Frances save our trees. Here are three ways that you can help. Decades after the August AD 79 eruption that buried Pompeii and its sister cities, Pliny the Younger chronicled how his beloved neighborhood had disappeared into the earth. Frances Kakugawa is Pliny the Younger to a modern Pompeii called Kapoho. Whenever I hear the name Frances H. Kakugawa, I tend to think of three related things: poetry, Alzheimer’s disease, and a mouse. Why? Well, they are all a part of one of my favorite children’s books, Wordsworth Dances the Waltz, which I reviewed during our keiki Rec-Fest 2009 and named among my picks in our 10 Favorite Hawaii Children’s Books in 2010. Knowing what a talented writer Ms. Kakugawa is, I wish I jumped sooner onto her latest book, KAPOHO: Memoir of a Modern Pompeii (Watermark Publishing, 2011). When I finally started reading it, I was immediately charmed by her brilliant prose and storytelling. With her words, she uncovers the village of Kapoho—which was buried under lava and ash in 1960—and the life of a poor, local Japanese girl in a small town with no electricity or running water. Being a poet, Kakugawa understands how to use the senses and evoke emotion in her writing, and she does so here, working meticulous details into the stories of her book. KAPOHO starts off with a bang, literally, as the first story, “The Enemy Wore My Face” recounts her experiences immediately after the bombing of Pearl Harbor. I loved young Frances’ observations, finding importance in things only a child would take seriously—things like smashing “Japanese bugs” to help the U.S. win the war, or feeling safer in school than at home because, “teachers seemed indestructible.” The story also delves into the idea of ethnic identity and realization, which are continuously touched on throughout the book, as the bombing of Pearl Harbor transformed her face from being simply American in her eyes to that of looking like the Enemy. Conflicting identity is brought to a forefront when in an effort to look patriotic and not show any sympathy to Japan, her parents destroy everything that might “smell Jap,” including ripping the red dots from medicine in case they were mistaken for the Rising Sun. Later stories explore relationships with her family and friends or are stories from the lives of her parents or grandparents. They’re not ordered chronologically, yet I recommend reading them in order as they often build upon or reference knowledge gleaned from the previous stories. Kakugawa never hits you over the head with the obvious in her writing; it’s her attention to detail, language and storytelling that can blow your mind with the smallest subtlety. She can sum up an entire idea with a quick visual, make you laugh with astute observations of the most manini things, or provide a powerful sense of gravitas when it’s needed. Despite Kapoho being a nondescript village on the edge of a volcano, Kakugawa brings such vibrancy to this cross-section of mid-20th century plantation life that I did not want the book to end. Kakugawa writes, “Books would be the only survivors of civilization, and I wanted to survive with at least my name on a book cover, if nothing else.” Frances has done for Kapoho what she wanted to do for herself. Much like the lava and ash preserve the homes and belongings buried underneath, she suceeds in forever preserving the memory of life in Kapoho for all eternity. I don’t think I can do justice to this book in the few paragraphs I’ve written here. 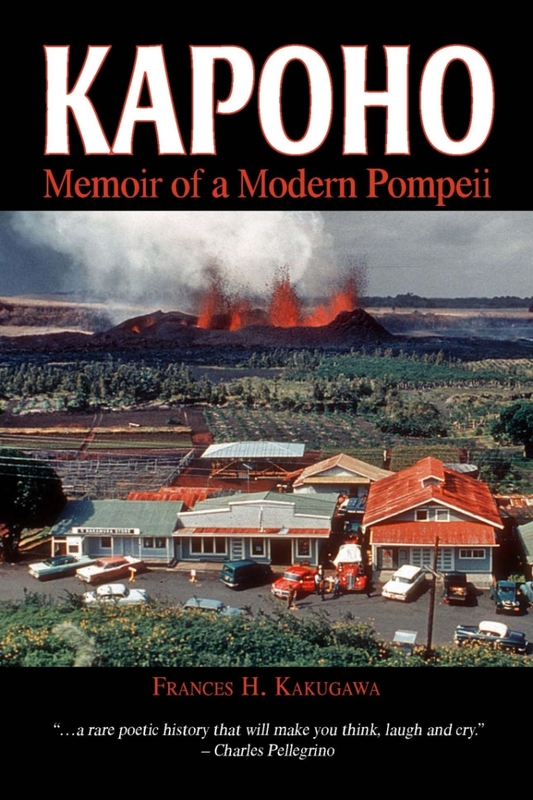 All I can say with finality is that I highly recommend reading KAPOHO: A Memoir of Modern Pompeii and give it a healthy five shakas! Frances Kakugawa has written an insightful and moving book that will both help and inspire all who struggle as caregivers for loved ones afflicted with Alzheimer’s disease or other dementia. Breaking the Silence is an essential book for Alzheimer’s caregivers. It’s a thoughtful and honest look into what caregivers face each day, providing a real value for those who must cope with incredible pressure, anxiety, and difficult decisions. It’s a compilation of poetry, journal entries, and how-to advice. Frances weaves her own poetry and that of six other caregivers together, along with journal entries and advice for the novice poet. It’s a handbook for caregiving survival. In Kakugawa’s poem, “Plastic Orchids,” she writes how her 91-year old mother, Matsue, mutters two harsh curse words to herself, recognizing the insincerity of an aide who addresses her by her first name and tells her she loves her. Frances applauds this in her poem—a glimpse of the “real” Matsue, before she slides back into the fog of dementia. Caregivers Eugenie Mitchell, Linda Nagata, Elaine Okazaki, Jason Kimura, Rod Masumoto, and Red Slider add dimension to the book with unique perspectives and shared experiences. This book shows realistic day-to-day caregiving, with all the rewards, challenges, and pitfalls. A retired Department of Education resource teacher, Kakugawa is the published author of four volumes of poetry. For five years, she served as the primary caregiver for her elderly mother, who had been diagnosed with Alzheimer’s. Having found writing a “saving grace” that helped her manage the tremendous burden of care, she founded the poetry and journaling support group for the Alzheimer’s Association-Aloha Chapter [in 2000]. Mosaic Moon portrays the group’s collective spiritual journey born in the depths of despair. The poems attest to the durability of the human heart, and to the power of creativity to heal and transform. When she retired in 1996, Kakugawa had looked forward to traveling. Instead, she began an endless drill of bone-gnawing exhaustion. The eldest of five siblings and the only one unmarried and without children, Kakugawa found herself “squeezing out urine from carpets and bedding, scrubbing bathroom tiles at 3 a.m., staying up nights, answering constant calls.” She couldn’t sit down to a crossword puzzle or finish a meal without interruption. Nearing her wit’s end, Kakugawa finally linked with local support groups, and found catharsis and renewal by venting her frustrations in her journal. Without such help, caregivers are at increased risk of developing depression and health problems, or of even abusing their loved ones. “So the golden rule of caregiving is to take care of yourself first,” says Kakugawa. When 91-year-old Matsue died peacefully in her sleep, Kakugawa felt her mother was finally set free, leaving her with a precious legacy of lessons. Wordsworth writes poetry — about rainbows made of butterflies and castles in the clouds. But all the other mice in the Hawaiian rain forest make fun of Wordsworth and his “silly” poems, until the day the sun disappears, and the sky rumbles, and the rain begins to fall and fall. That’s when Wordsworth takes pen in hand and shows the others how poetry can save the day. In this heartwarming children’s story by poet and educator Frances H. Kakugawa, young readers can learn the value of self-expression, then try writing their own poems about the world around them. 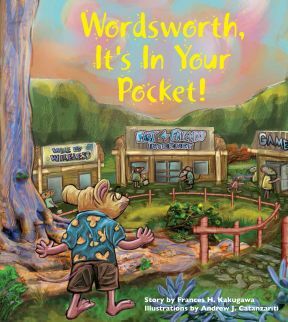 Wordsworth the Poet was the recipient of the 2004 Ka Palapala Book Award for Excellence in Children’s Books from the Hawaii Book Publishers’ Association. 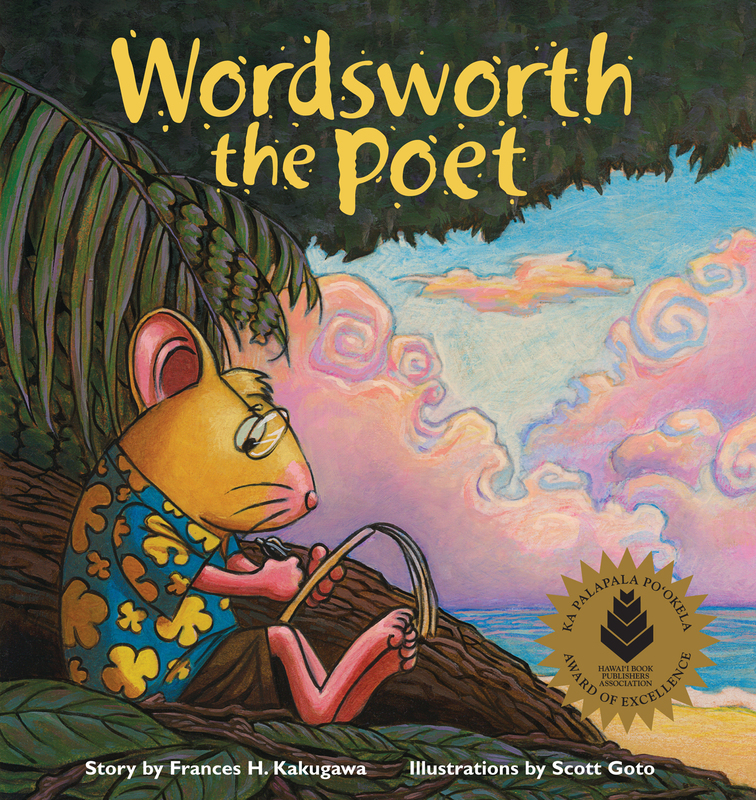 Wordsworth, the little Hawaiian mouse who loves poetry, doesn’t understand why there is so much whispering around the house since Grandma came to live with his family. He remembers her last visit, when the house was filled with laughter, and he and Grandma danced around the room together. But now, Wordsworth and his siblings have to walk softly and be quiet so they don’t disturb Grandma. In Wordsworth Dances the Waltz, children are introduced to the concept that as grandparents age, they may become different, and even forget important things. Wordsworth finds comfort in writing poems that express his confusion over the changes in his beloved grandparent and the fond memories he has of her more vibrant days. He wonders, “Now that shes losing her memory/She’s still my Grandma, isnt she?” The answer, of course, is yes — nothing could ever change that. Wordsworth’s poems help his family understand that Grandma would still like to do things she always loved — spending time with the family, laughing and dancing. Wordsworth Dances the Waltz is dedicated to author Frances Kakugawa’s late mother, Matsue, who was afflicted with Alzheimer’s disease. Frances was her primary caregiver for five years; during that time she found that poetry and journaling helped to ease the rigorous burden of caregiving. Wordsworth Dances the Waltz received the Bronze Award in the Best Book Overall category, as well as the award for Best Illustrated Children’s Book from the Northern California Publishers & Authors (NCPA) group for books published in 2007. At once poignant and hilarious, Teacher, You Look Like A Horse offers a wealth of personal insights into the educational process. Among them: the magic of discovery, the lifelong bond between student and teacher, the growing pains of childhood, and the serendipitous moments when student becomes teacher. An entertaining memoir with a powerful message, the book also includes case studies and creative solutions to student-teacher issues. With lively anecdotes and revealing student commentary, this easy-reading resource was written for teachers, parents and anyone else involved in the care and education of children.